American artist and actress in Japan. 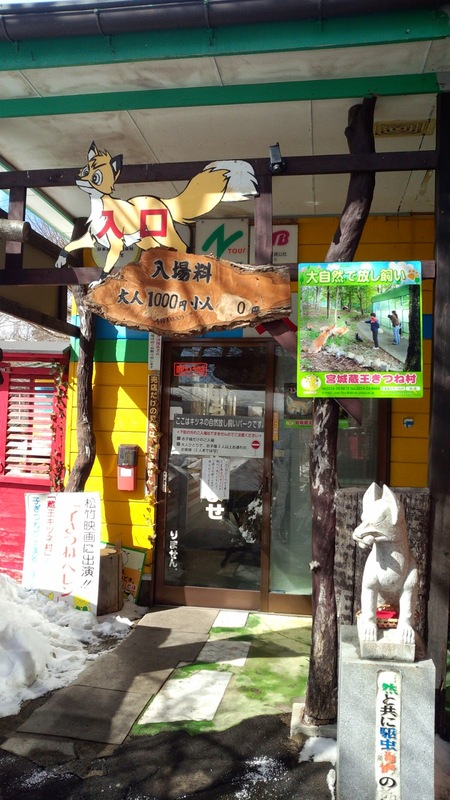 The internet seems to be exploding with articles about the Fox Village in Zao, Japan. Perhaps you've seen one of them, it's popped up on RocketNews24, BoredPanda, ABC News, LaughingSquid, the Daily Mail, Distractify, and the Huffington Post, among others. So we picked a day and went up. It's about a 5-hour drive from Tokyo, waaaaay out in the inaka. We didn't end up needing snow tires or chains (good thing, too, because we don't have either), and we only got stuck once. We paid the entry fee, bought a couple bags of hot dog slices, and went in. This whole first area doesn't tend to make it into the articles I mentioned at the beginning. I'm not trying to write this as a scathing exposé or anything, but I'm trying to be as fair about my evaluation as possible. 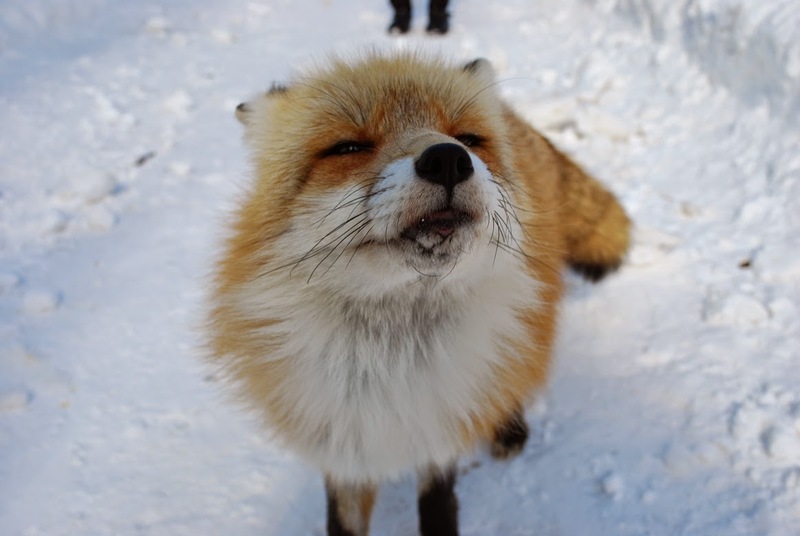 I like that they have a funeral ceremony every year for the foxes that have passed, and that they work with an agricultural university to make sure the foxes are all microchipped, vaccinated, and receive medical attention. I don't like the small cages and short chains. Here's kind of an encapsulation of my mixed feelings. Her name is Nori. 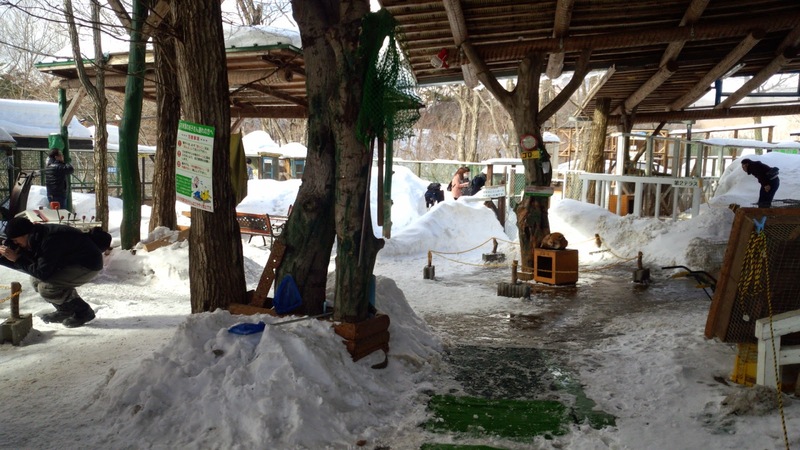 According to their website, or as much of it as I can understand, Nori-chan has been in that same tiny roped-off area to interact with visitors for most of her life. I think her chain is much too short, but she has no fear of people and she came as close to me as her leash would allow. I extended my hand, expecting a cautious sniff and/or obvious indifference, and she licked my fingers and let me scratch around her jaw. Of course I immediately fell in love and wanted to smuggle her out. I have a tendency to read too much into animal personalities, so take this with a grain of salt, but my impression is that she's ultra sweet, but sad in her circumstances. I really hope they let her and the others off the leash when the park closes. This video seems like a pretty good behind-the-scenes segment, but it concerns me a little that the woman very casually mentions that the fox next to her (I think it's Nori, but I'm not 100% sure) lost a lot of weight because the recent visitor crowds were intense. 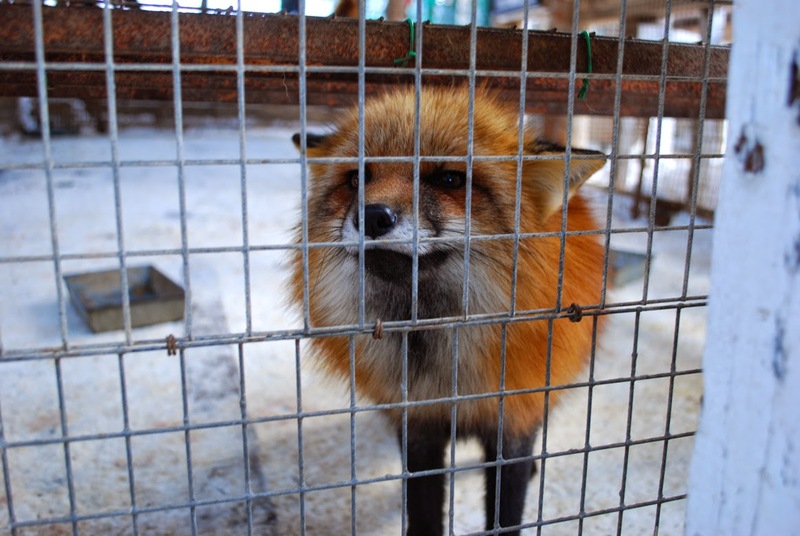 In addition to Nori, there are two or three other chained foxes, and some small enclosures and cages stacked around the perimeter. Leaving the trees is a nice aesthetic touch. I feel really bad for the two badgers huddled in their wire cube with no shelter from the wind. Not even a floor. Foxes don't give a crap about the cold or snow or wind, but the badgers were visibly shivering. I sent an email requesting some shelter for them, but I don't know if it will make a difference. It really isn't all bad, though. 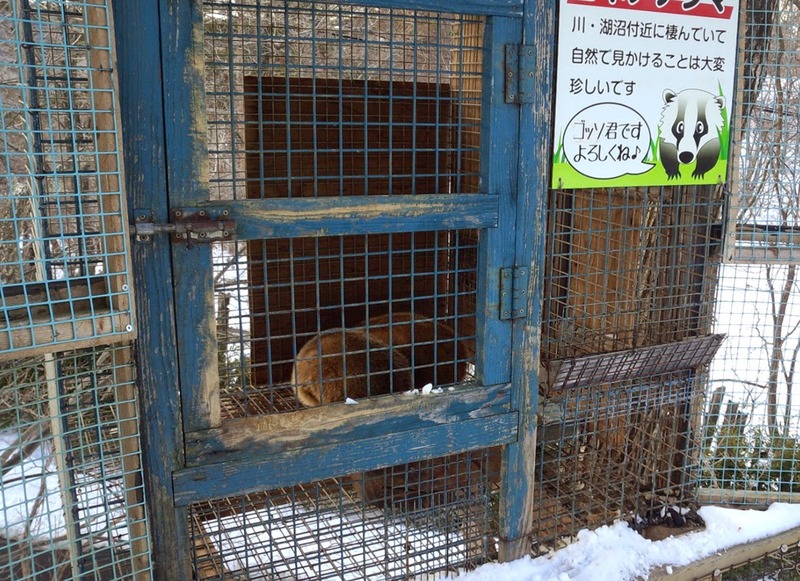 Even in this area, the foxes are curious, alert, energetic, and appear to be healthy. 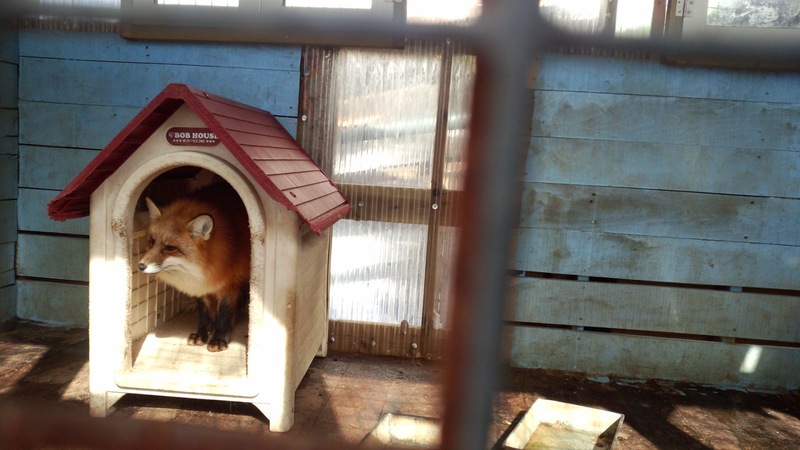 There are one or two other foxes in this enclosure. It's small, but not as small as the wire cages. There was a section with bunnies that were super happy, all bouncy and asking for carrots (I'm going to guess that the carrots are only fed by the tourists, their regular meals would be something better for them). We didn't go in, but there may have been some goats or miniature horses in there, as well. 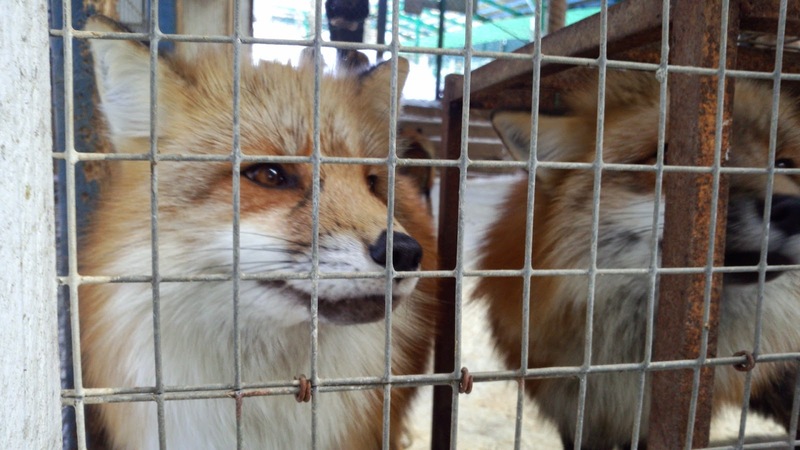 There was also a mid-sized enclosure with several foxes that wanted to stare at us. One in particular (the one on the left) kept chasing the others away so it was the only one getting face time. I offered the back of my fingers against the cage to sniff, and he was puzzled when I didn't let him nibble my ring. I mean, it's all shiny and pretty, surely I wouldn't offer it unless it was a gift! Serves me right, I suppose. This little guy kept being chased off, but was definitely showing interest in seeing what we were all about. Don't be fooled, this is a curious sniffing face, not a sad face. I was surprised by how easy it is to tell individuals apart and how much personality we could see, even in such a short time. Of course the best photos were in the open area. There are too many foxes there, they seem to spend a lot of time peeing and claiming territory and having drama. But on looking back through the video we got, they seemed to be concentrated on one side of the large fenced-in area, so it's overcrowded, but not as bad as I originally thought. One little dude elected himself our tour guide for a while, and seemed to genuinely enjoy the attention he was getting from tourists with cameras. This one was optimistic we'd have something delicious to share, then immediately lost all interest when we did not. and then there's this jerk. This one runs up from the background, pees on the other one and runs away. Then he circles back, sniffs his handiwork, decides he can do better, and pees again. Jackass. I'm certain they are aware of overcrowding. 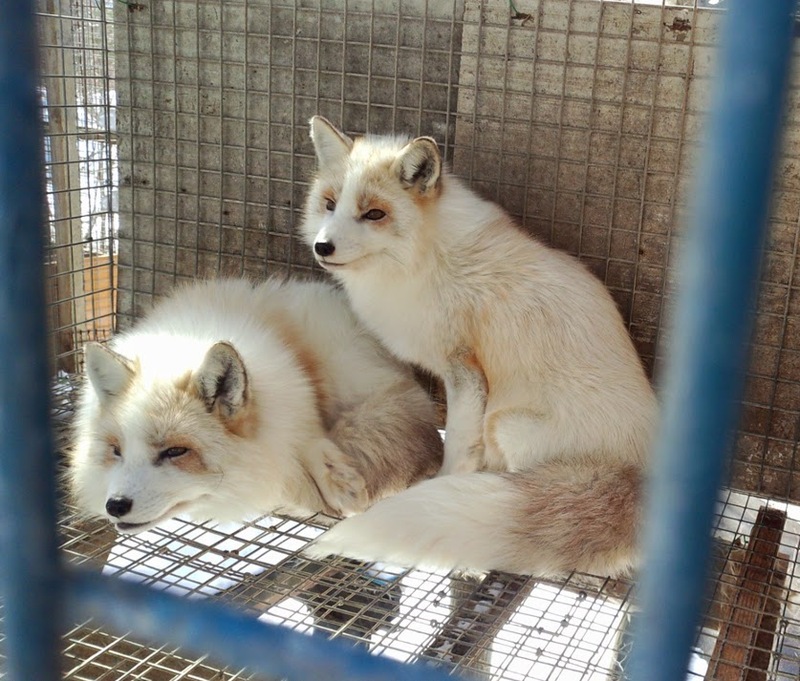 To their credit, they aren't simply culling the herd and selling pelts (there are some tails in the gift shop, probably from foxes that died of natural causes), nor are they releasing them into the wild (where they wouldn't do well). They are looking for a partner organization to open a new location. * Personally, I would like them to have a spaying/neutering policy, but that is probably not an option for them, so maybe a new location is the next best thing. I hope it works out. *Sorry, I can't seem to find my source for that. I'll link if I find it. 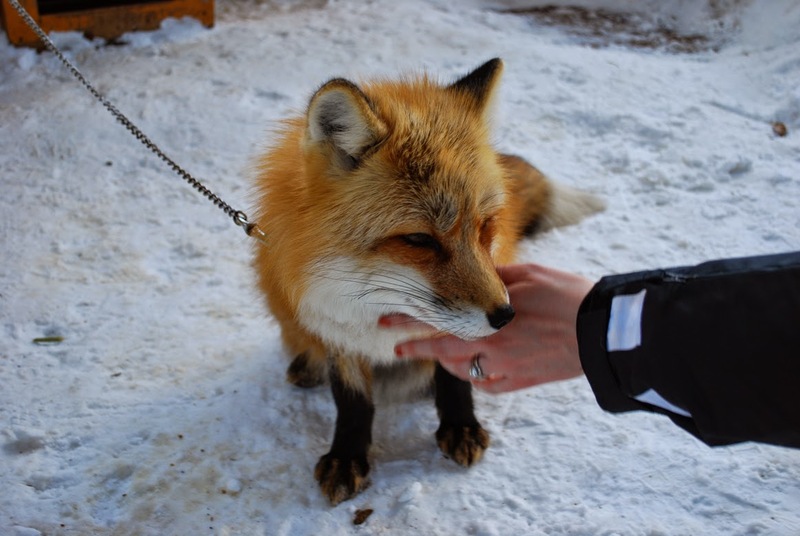 Ethics of this business model aside, here is the most obvious conclusion: foxes are amazingly photogenic and have huge personalities. If it were at all a good idea for us to get one as a pet, I would. Because LOOK AT THAT FACE.